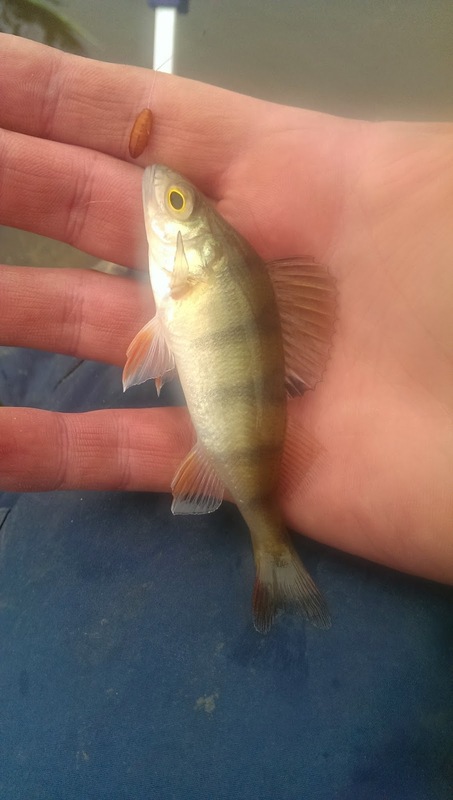 Having lived in Somerset for 6 months I’ve come to realise that there are some great fisheries quite close at hand. The difficulty is, the majority of them are all heavily aimed at commercial match/carp anglers, where 100’s of lb’s is considered and average match weight. What I was looking for were waters where silver fish made up the majority and a rogue Carp may show up from time to time. That being said, and after a fair bit of reading and looking around, I decided to join Ilminster Angling Association. They currently control Dillington Estate Lake, what remains of the Ilminister Canal and a 7 mile stretch of the River Isle. They also have a ticket exchange in place with Bathampton A.A., Dorchester and District Angling Society and Langport and District A.A. This means for the joining fee of £25, a membership gets you access to A LOT more venues. 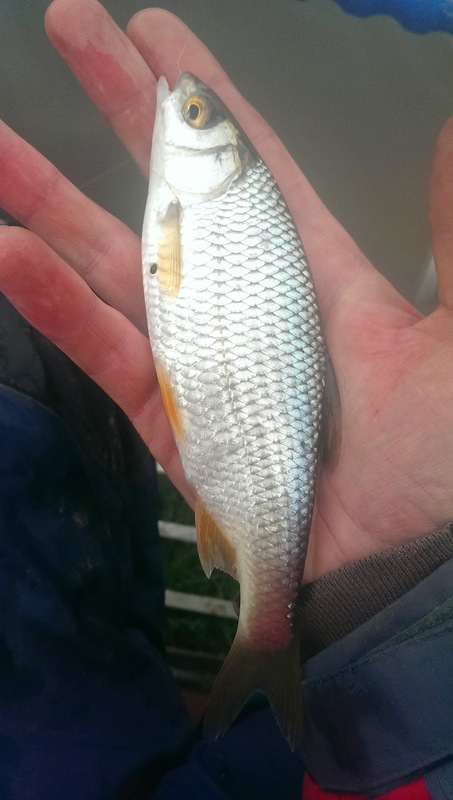 So with my 2014 license newly purchased I set out to fish Dillington Pond and to see what it had to offer. Don’t be fooled by the quiet track next to the lake. It’s busy! Arriving from Seavington St Michael direction and being told to turn right at the Eaglewood Park sign, the lake was just down below the hill. The track through Dillington Estate was not as quiet as I had expected and there wasn’t many options to park (as the main spots were taken), and after the rain we’d had I didn’t fancy getting the car stuck in the mud! I drove just past the lake and found a car sized lay-by where I parked up. Walking around the lake I stood and talked to another angler who was catching some of the newly stocked Tench. Watching some fish topping, things were looking promising, and I quickly returned to the car to gather my gear. I chose to fish the peg closest to the gate as the tree to its right offered some protection from the gusty right to left wind. 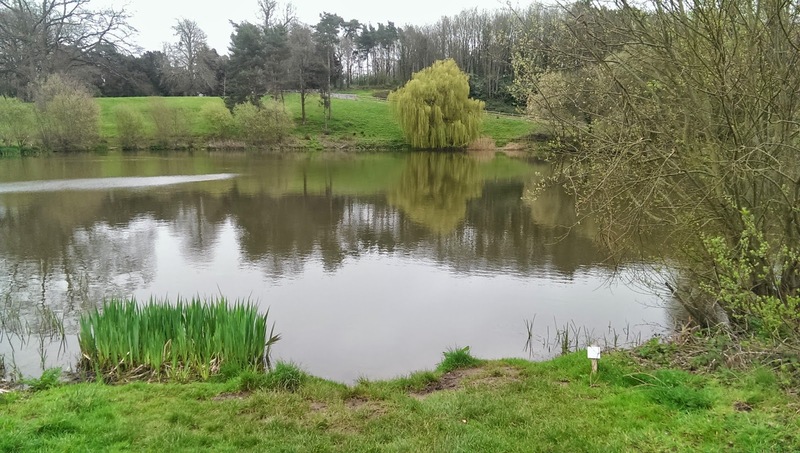 Having spent a bit of time reading Jamie Rich’s blog on this venue, I knew there were big perch, a few carp and a healthy head of quality silver fish, and that’s what I would be targeting today. Setting up the pole, I would start fishing at around 9 meters, at dead depth (thinking the wind may have pushed the fish down in the water). I quickly realised that the promise that I made myself of making rigs 2 months previously hadn’t been adhered too. 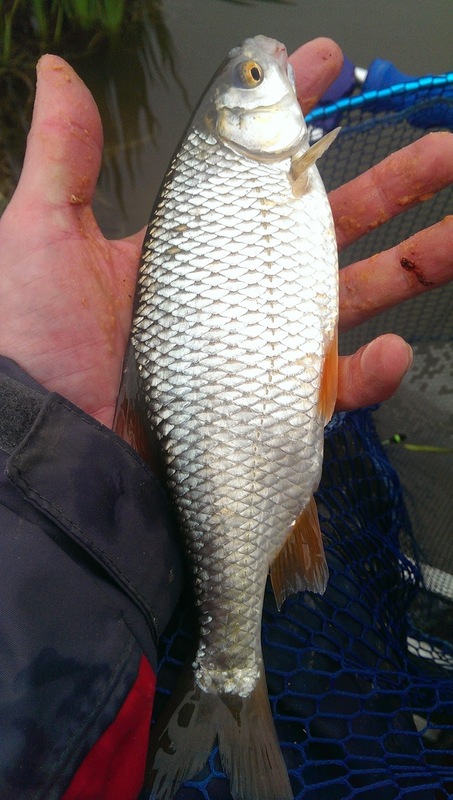 After a summer and autumn of Carp bashing on the lakes of South Wales, my Roach rigs looked a bit thin on the ground. Still, I cobbled a rig together and shipped out. It was deeper than I expected and at 9 meters it was around 5½ft to 6ft. Catapulting a pouchful of maggots and with double red maggot on the hook, I set my stall out and began the waiting game. 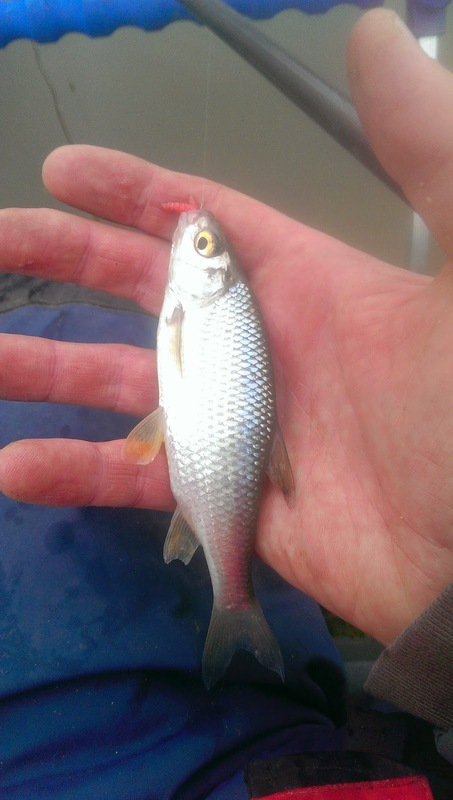 A few minutes passed before the float slunk away and I was into my first fish of the 2014 season – a small roach. Despite the wind and intermittent drizzle there were fish topping all around me, so every time I caught a fish I shallowed up my rig by 3 inches. At around 2 feet and with the constant trickle of feed this venue was really starting to come alive. Some of the fish were causing boils on the surface in their hurry to gobble down my free offerings. Switching from maggots to caster also paid dividends. Single caster always resulted in a better stamp of fish. My grandfather once told me, fishing especially match fishing is all about how quick you can get fish from the water to your net. It is an exercise in angling efficiency and so once I knew that the fish were feeding so confidently that they would come closer, I began removing the sections from my pole until I was down to my top 3. With rig length, I was fishing a maximum of 15 ft out. The fishing was frenetic and it was clear that the bigger fish were up in the water too. I was getting a bite every 10 seconds or quicker. The constant trickle of loose feed ensured that I kept the fish firmly in my swim. The size of the fish didn’t vary a great deal either. Now the fish were feeding in earnest every fish was at least a couple of ounces, these fish were real weight builders in a match situation. I spent the next hour and a half pulling these fish out and I only called an end to it because I needed to keep bait for the following day! 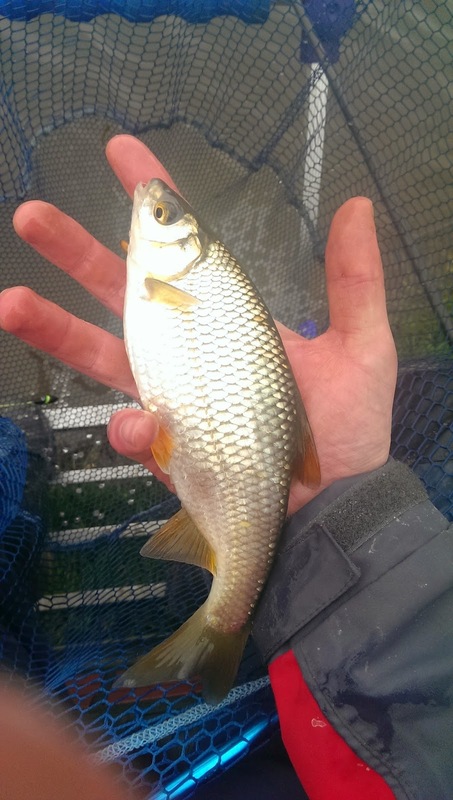 The amount of fin perfect Roach in this quality 2 acre venue was staggering. I will definitely be heading out the again after some of the Chub, Perch and Tench this lake has to offer.